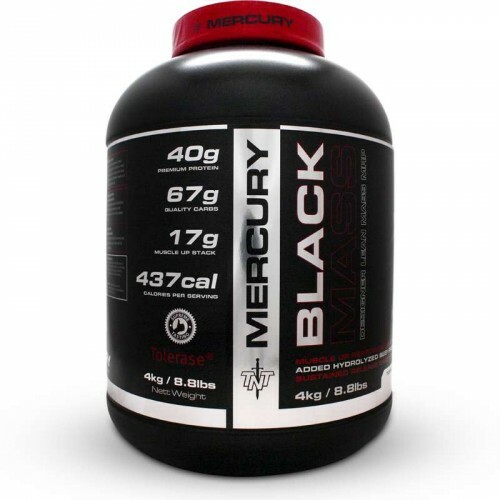 TNT Black Mass is a weight and muscle gainer shake with added ingredients to boost workout performance. Lifters and athletes make sure they eat enough calories to maintain or increase weight. They do this by eating regular meals and supplementing with 1 or 2 mass gaining shakes. Each serving of Black Mass provides 437 calories to start packing on size. That’s the same as a chicken burger. The Sustained Release Carb Blend ensures athletes get a consistent supply of energy from carbohydrates while limiting any major insulin spikes which may cause excess body fat. Protein builds muscle. You get 40 grams of protein per serving which comes from Whey, Casein and Beef protein. At the time of this review each serving will cost R14.82. To get the same nutrition from a bought meal you would need to spend R50 – R60. The Creatine Matrix blend will boost your workout performance by giving you more strength and endurance. To help with even more muscle development various ingredients have been added to support natural testosterone production. 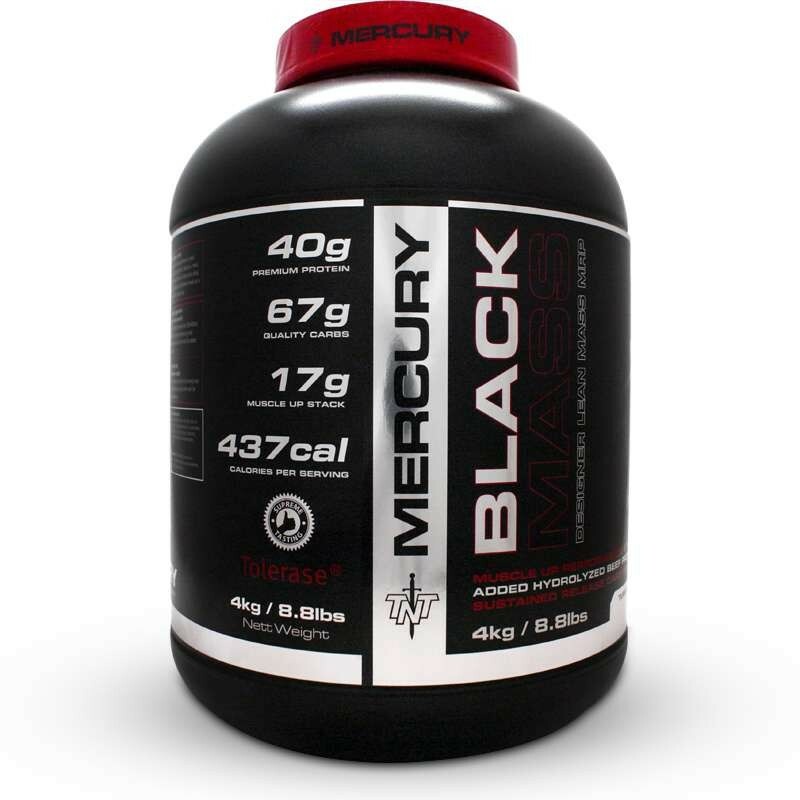 TNT Black Mass is a quality mass gainer with a great blend of nutrients to increase weight and muscle at an affordable price. L-Glutamine, Taurine, L-Glycine, L-Lysine, Added BCAA 2:1:1, Tribulus Terrestris, ZMA (Zinc Monothionine Aspartate, Magnesium Aspartate and Vitamin B6), HMB (beta-Hydroxy beta-methylbutyric acid). Other Ingredients: Skim milk powder, Cocoa powder (only in chocolate flavoured variants), Flavouring, Stabilizers, Salt, Soy lecithin, Sucralose, Acesulphame K-blend, Vitamin premix, Tolerase. • Mix 2 heaped scoops (120 grams) into 300-400ml water.